I’m very sorry for this extremely quiet week – no posts, no new images, no tweets or facebook updates. But don’t panic! I’ll get back to my usual schedule of 2-3 new images and 0-2 posts per week very soon. I’ve been extremely busy with one of my photography related DIY projects, which is almost complete now, but I’ll post about that later – today we have our usual monthly free desktop wallpaper calendar. This time it is from Sydney – Long Reef Point, one of my favorite seascape locations in Sydney’s north. 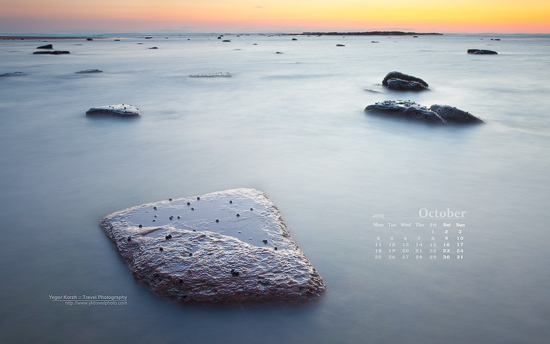 As always, this and older wallpapers with September calendar are available for download here: Free Desktop Wallpaper Calendars.